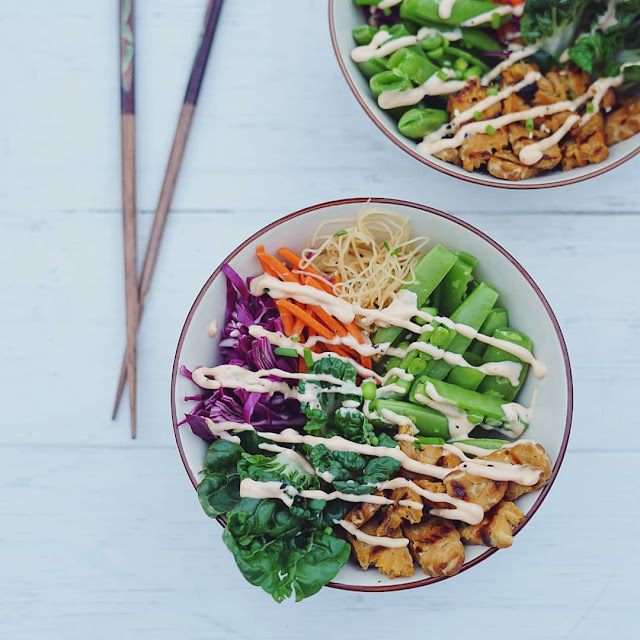 Whether you're team salad or team sandwich, a helping of pickled veg is always a welcome addition. Sweet, crunchy, vibrant and tangy, quick pickled carrots will take your dish from good to great in a matter of minutes. No canning experience necessary & no need for fancy equipment. This versatile recipe is great for cucumbers, carrots and onions, and can be used in a variety of ways. 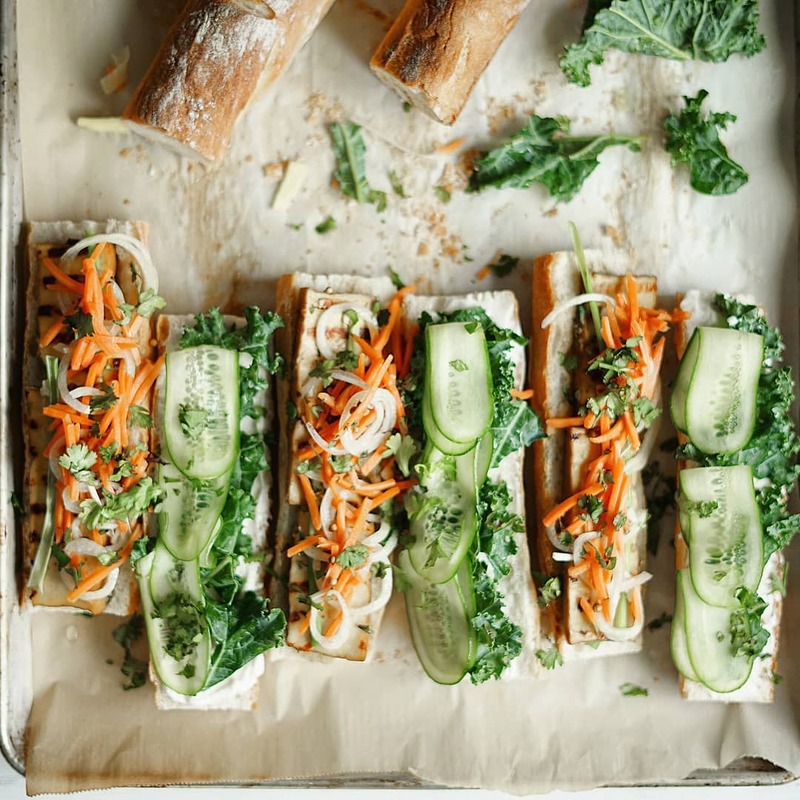 Top off a sandwich, bahn-mi style as we did, or toss them into a grain bowl (as we ALSO did!) Scramble them into an omlette, or eat them straight out of the jar. However you enjoy them, you'll be wondering how you've ever lived this long without them. This Vietnamese-style pickle recipe was inspired by my new favourite cookbook, Good Veg. (I'm telling you, this is the book that got me out of a cooking rut. They aren't even sponsoring this post. I just love it that much.) I've made these three times in the last 3 weeks, because I just can't seem to get enough. The original recipe calls for mixing vinegar with sugar and letting it dissolve, but I found that heating the vinegar helped to speed up the process. I also added some onion & my own blend of pickling spices and made it my own. 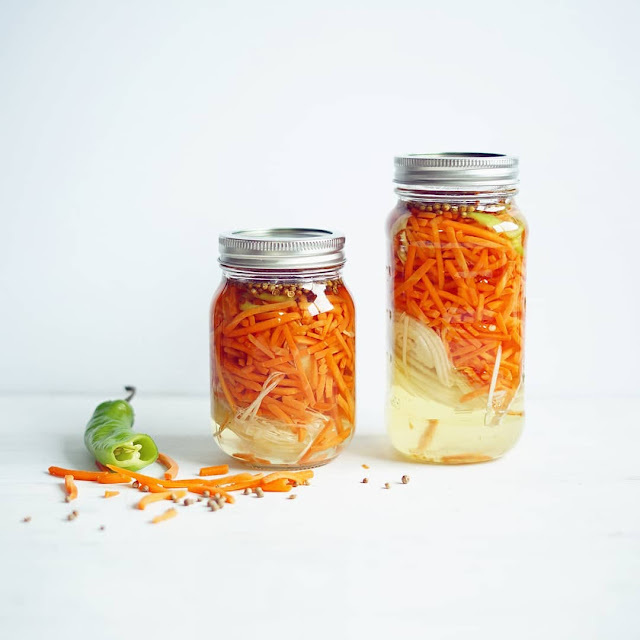 Feel free to experiment as you wish with the veggies - pickling knows no limits! Storage: I store mine in a mason jar in the fridge. They keep very well for a couple of weeks thanks to the high acid and high sugar content. If you have time to make these in advance, the flavours develop nicely over time and become tastier after a couple of days. As time passes, your vegetables will discolour slightly, but pickling liquid should remain relatively clear. Discard if liquid becomes cloudy. Combine water, vinegar, salt and sugar. Bring to a gentle simmer. Combine carrots (or cucumber), onion, daikon and ginger. Place vegetable mix into two mason jars. Pour liquid inside jars until veggies are fully submerged. Secure jar lids and refrigerate for 2 hours or up to 2 weeks.